GUEST BLOG by Kathy Stahlhut, Director of Small Groups at Greenwood (Indiana) Christian Church. At Greenwood Christian, we are constantly striving to improve our small group leader training. We know that with good coaching, leaders function at their highest capacity. 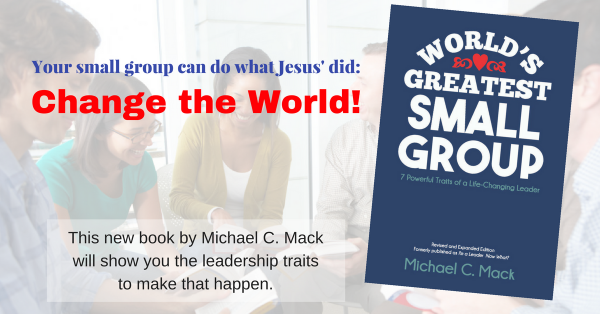 As directors or ministers of small groups, we can only do so much. For a boost, at least once a year, we try to bring in an expert on the development of small groups. This year, Mike was our guest speaker, and he really challenged our leaders to become more outwardly focused. He emphasized how our personal mission should simply overflow out of our relationship with God. He talked about the importance of spending time with our Savior so our hearts could more reflect His. He taught us how to keep the group intentionally open to new people focusing on Matt 9:13 (The Mssg. ), “I’m here to invite outsiders, not coddle insiders.” It’s what needed to be taught, but by someone other than me. I’m so thankful that Mike has stepped into the role of super coach or consultant. We need people like this to speak into our groups the hard things we can’t always say.